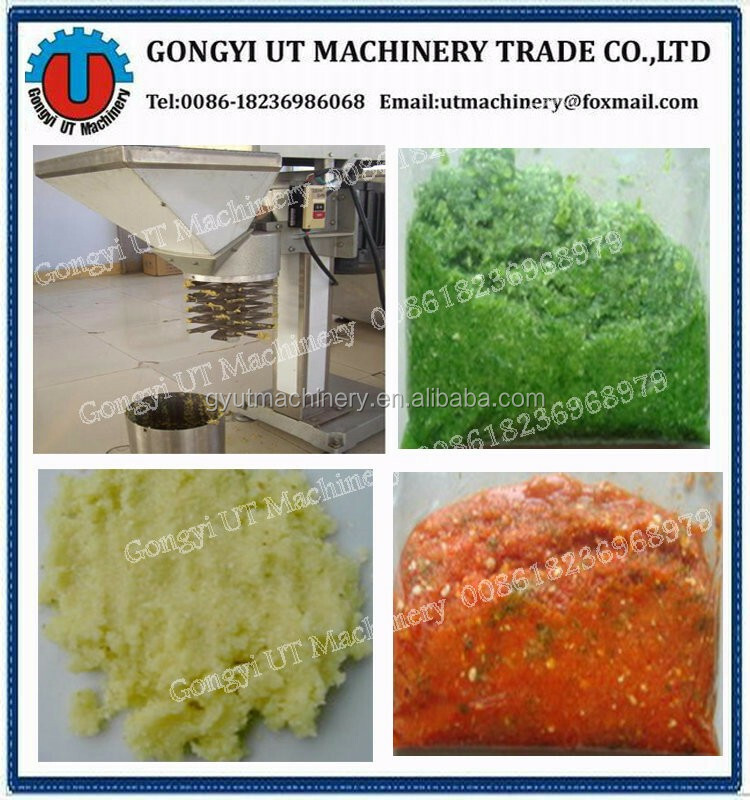 Buy garlic/onion/ginger/ paste making machine & Garlic Powder Machine skype:ut.nana - Jinan Joysun Machinery Co., Ltd.
FC-308 can grind the fresh or bloated capsicum into small pieces or paste. Meanwhile, it can cut the garlic, ginger, potato, spinach, onion or lotus root into paste or strips. 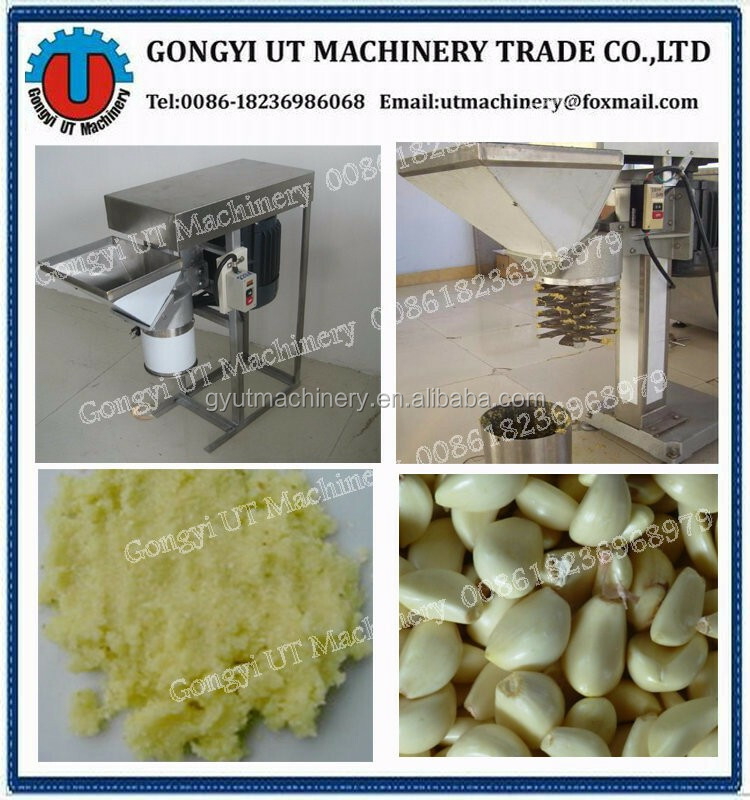 1.It can grind root vegetable like garlic, ginger,potato, lotus roots and onion etc.into paste or mashed shape. 2. It can also triturate pimiento and green chili into paste. 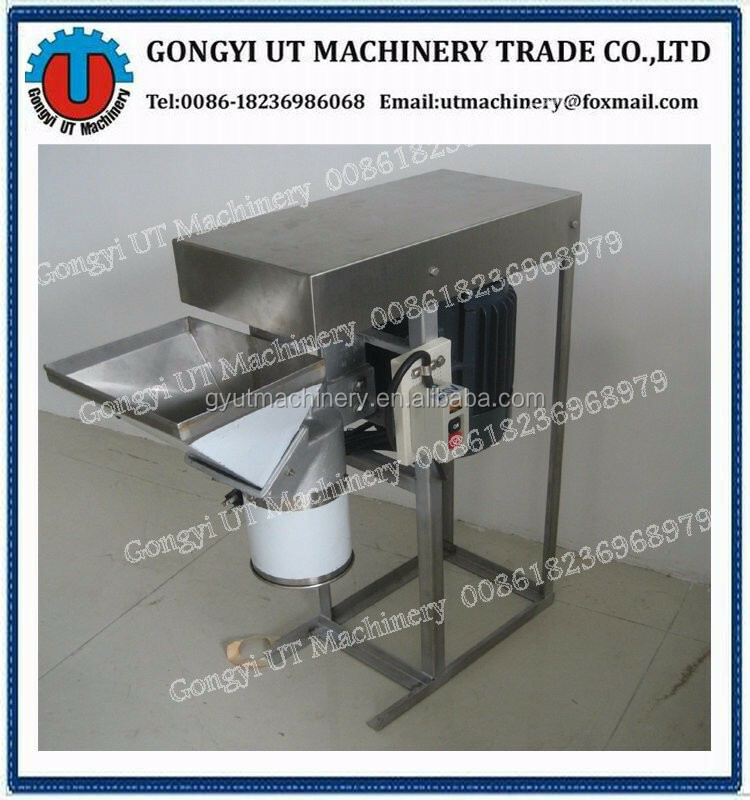 3.The grinding size can be adjusted by changing the quantity of blades. 4. 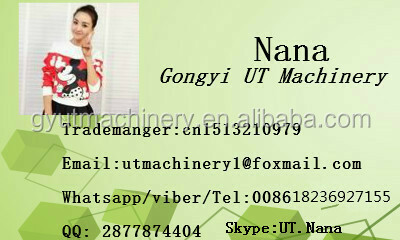 This machine has three types- single valve type, double-valve type and triple-valve type. 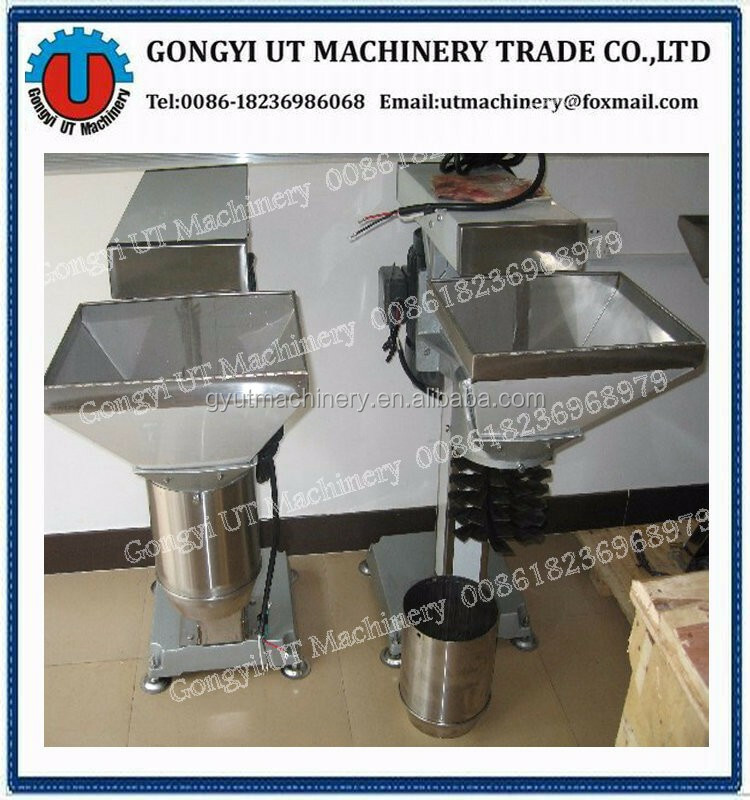 Suitable for flavoring plants, kitchen of school, big factory and food processing plants. 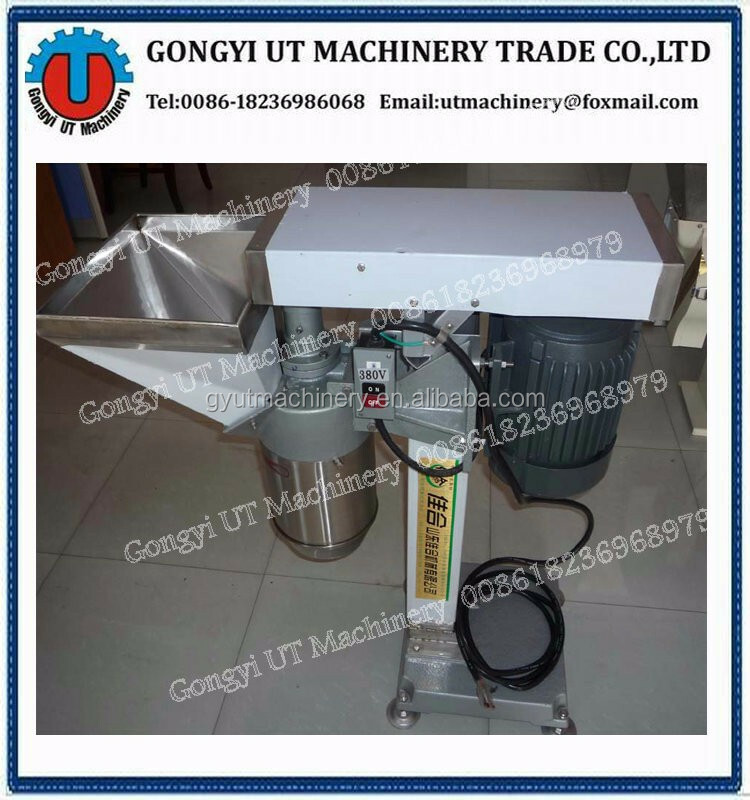 It can be connected to the related processing steps like washing, peeling, grinding, drying, packing, ect.